In my exploration of the concept of dystopia in a seemingly utopian world, I tried to draw on the difference between appearance and reality, seeming and being. Glossy magazine-styled images, inspired by Tracey Moffatt, initially draw on contemporary childhood associations but, upon closer viewing, provoke notions of terror. 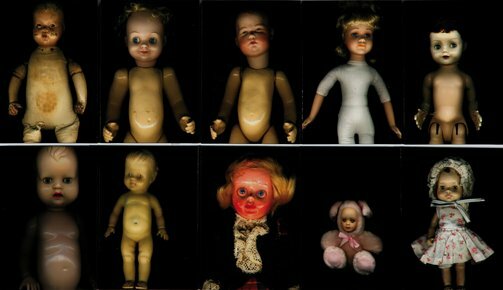 Haunting images of dolls that usually connote happy memories of childhood disrupt our preconceptions. What originally seems innocent is riddled with a sense of unease. The fragile nature of security and safety in our post-9/11 world is investigated through installations of toy houses.